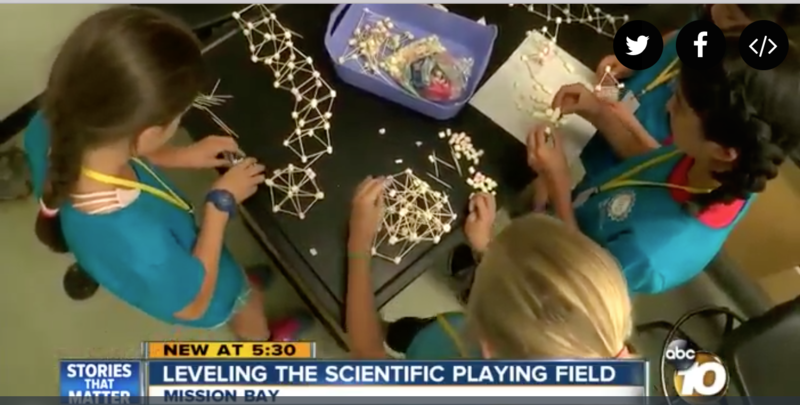 SAN DIEGO (KGTV) – Educators are trying to level the scientific playing field. Monday kicked off the Sally Ride Science Junior Academy at Mission Bay High School. The program encourages all children, especially young women, to get involved in STEAM programs of science, technology, engineering, art, and mathematics. “We’re trying to inspire young women, mainly middle schoolers and high schoolers of underprivileged or minority groups to look into STEAM carriers if they’re interested,” said Sally Ride Ambassador Kathryn Greenberg. Organizers said women represent 57% of all bachelor of science degrees but only receive 18% of computer science degrees awarded and 19% of the degrees awarded in both engineering and physics. Space is still available in the weeklong sessions, which end July 21st.